After bariatric surgery you will need to dramatically change your diet and adapt your nutrition habits to maintain a healthy weight. You will be losing weight very quickly, so you need to know how to plan your meals, how to get adequate amounts of fluids, and how to take proper vitamins and minerals. Our mission is to provide complete education and resources on lifestyle changes following gastric bypass surgery, and to continue to support each patient individually throughout their entire journey. For the first three days, drink the clear fluids listed above throughout the day to get the minimum of 48 ounces of fluid daily to prevent dehydration. The first three days is the JUICE PARTY. To prevent low blood sugar and nausea, make sure you drink diluted 100-percent juices throughout the day. After the first three days, discontinue all juices. They are just unnecessary calories. Drink small sips of fluids continuously throughout the day. You must drink six ounces an hour. In eight hours you will have achieved the goal of 48 ounces of fluids needed. Immediately start taking all of the specified vitamins as soon as you are home. Follow the vitamin schedule provided in the vitamin section of the packet. Once the first three days on clear liquids is finished, you will begin drinking one protein shake every four hours. This will be the pattern for the remaining 11 days. Do not add fruit, peanut butter or other flavorings to your protein shakes at this point. 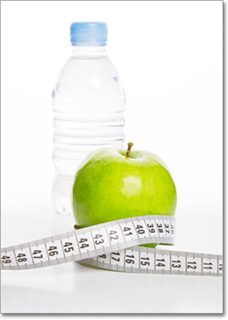 Drink clear fluids that are 10 calories or less per serving in between the protein shakes. Take 30 minutes to drink the 6-8 ounce protein shake. Whatever can not be finished in 30 minutes is to be saved for the next mealtime. Rule of thumb: All foods should be the same consistency - soft, moist food (no chunks). DO NOT EAT AND DRINK TOGETHER ANYMORE. Adjustable gastric band patients must stop sipping fluids 30 minutes prior to a meal and not resume sipping fluids for 60 minutes after a meal (30-60 minute rule). Gastric bypass patients must stop sipping fluids 30 minutes prior to a meal and not resume sipping fluids for 60 minutes after a meal. (30-60 minute rule). Continue one to two protein shakes as 1-2 meals a day to help with protein intake. Start the soft protein foods listed below, eating 1/3-1/4 cup every four hours. Broil or bake any fin-fish like salmon, tuna, flounder, catfish, tilapia and so on. Make sure the fish is not dry or overcooked and mash with the fork. Dry, overcooked fish is not tolerated. You may puree meats in a blender or food processor. See directions on how to puree. Cut foods into small pieces about the size of your thumbnail. Place food in a blender/food processor. Add enough liquid to cover the blades (broth, juice or low-fat milk). Blend until smooth like applesauce. Strain out the lumps, seeds or pieces of food. Use spices (except hot seasonings such as cayenne pepper or hot sauce) to flavor foods. DO NOT USE BABY FOODS! The protein level in baby food is much lower since babies do not have the full-grown kidneys necessary to handle the protein levels adults can.